It's natural that as someone who lives in Hong Kong, a significant portion of my dining habits would consist of Cantonese cuisine. But if there is one popular type of cuisine that is glaringly missing from my diet, it's spicy food. I just can't take the heat, and frankly don't enjoy it above a certain threshold. Besides, how the hell can you even taste the food when your taste buds are on fire? 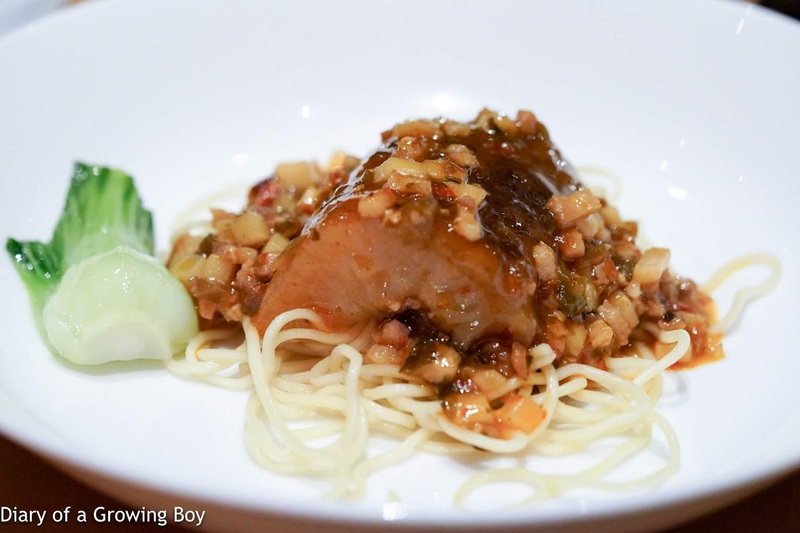 Tonight I finally had a chance to try out Chef Deng's cuisine while he was in town. The Man in White T-shirt - who is a big fan - had a table and invited Hello Kitty and I to come along. 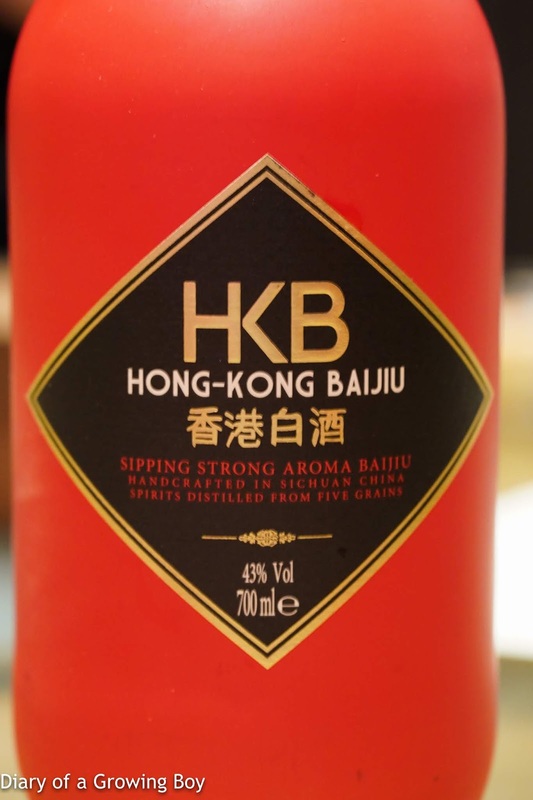 This would be right up Hello Kitty's alley, and after tasting some pretty sophisticated stuff from André Chiang's pop-up last week, I was looking forward to widening my horizons a little more. The menu was all set by the chef, so I just sat back and chatted with some new and old friends and waited for it all to arrive over the course of the evening. 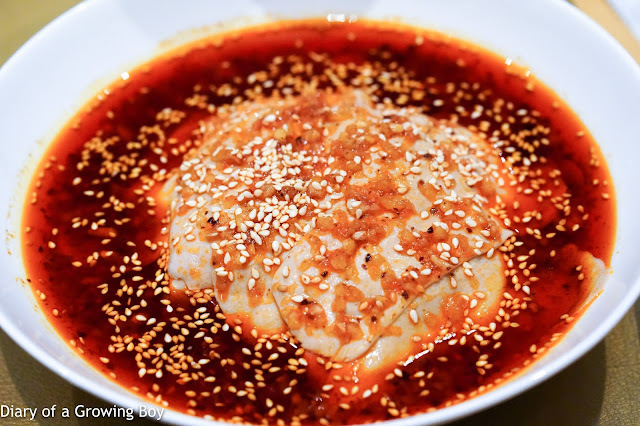 Shredded chicken in chili sauce (椒麻雞絲) - I know that the chicken comes from a reputable local farm whose owner sat next to me during dinner, but I just found the meat too soft and mushy for my taste... and it was almost powdery and grainy. 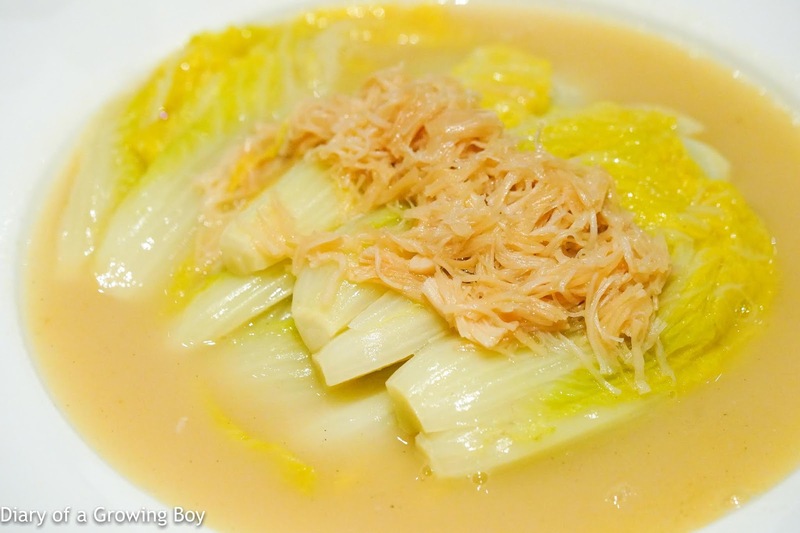 Served with long strips of celtuce stem and the sauce numbed the tongue a little. 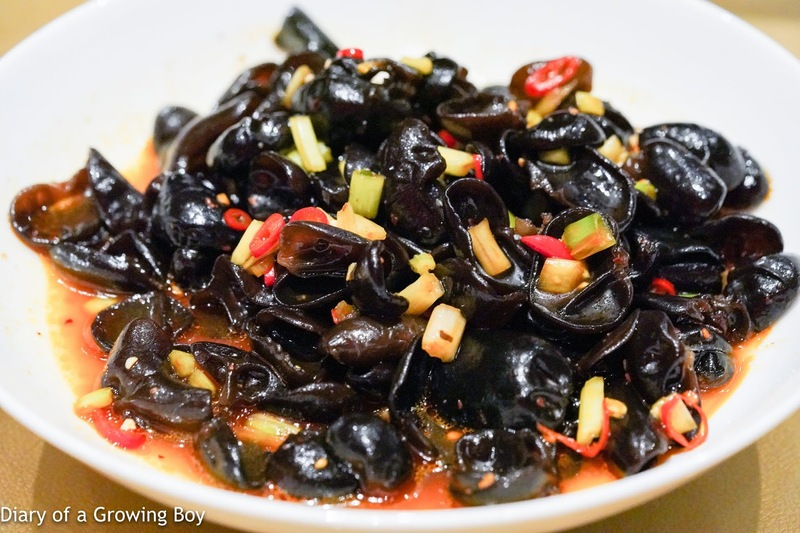 Fungus with mild sour, sweet, and chili sauce (涼拌野生木耳) - getting a small dose of heat here. 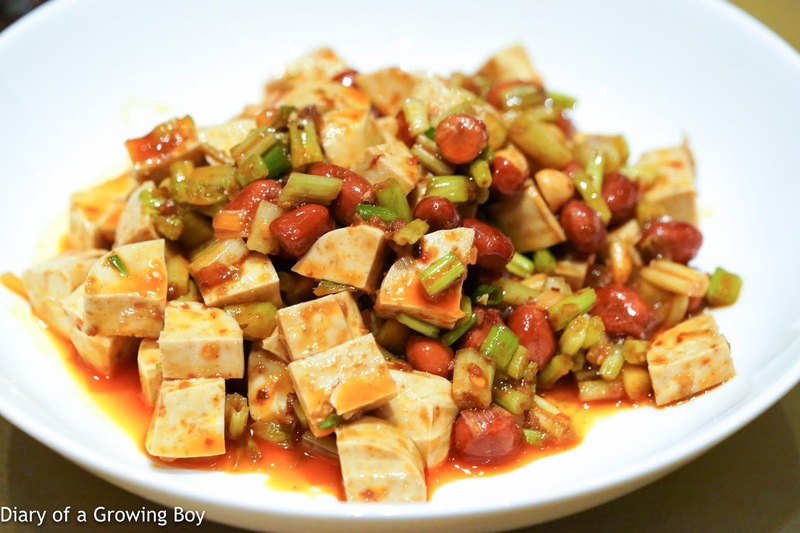 Spicy dry nuts and bean curd (怪味天府素雞) - not your usual 怪味雞 but a vegetarian version with tofu. Smoked fish (鄧記薰魚) - pretty nice, actually. 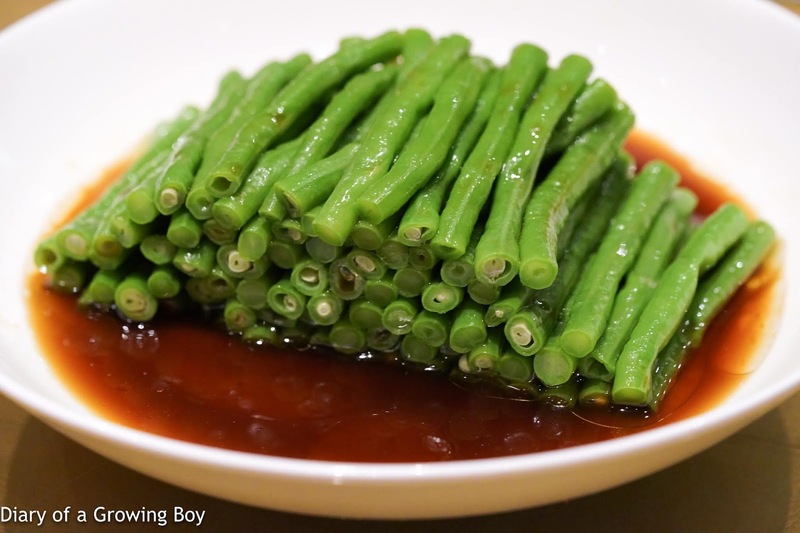 Green beans in ginger sauce (薑汁豇豆) - not a hint of heat here. 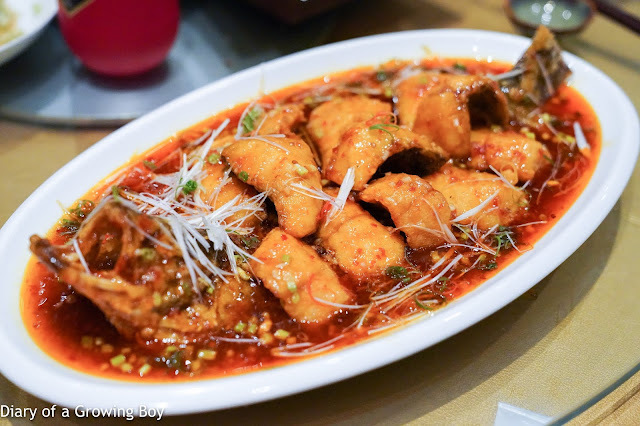 Sliced pig's kidneys with garlic and chili (蒜泥白腰) - instead of the usual dish with thin slices of blanched pork, we've got very thin slices of kidney here... which were soooo tender and slippery. Loved the texture and sensation. And there was just enough spice here to make it interesting. 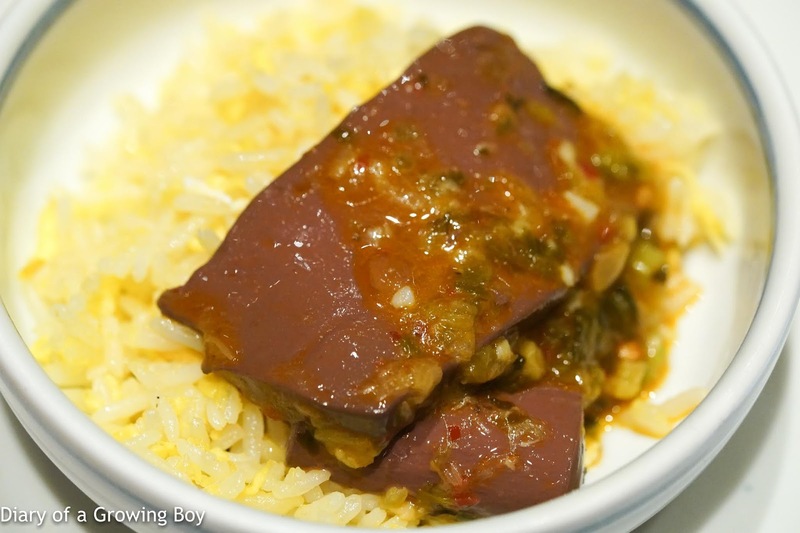 Braised sea cucumber (干燒烏參) - very interesting... 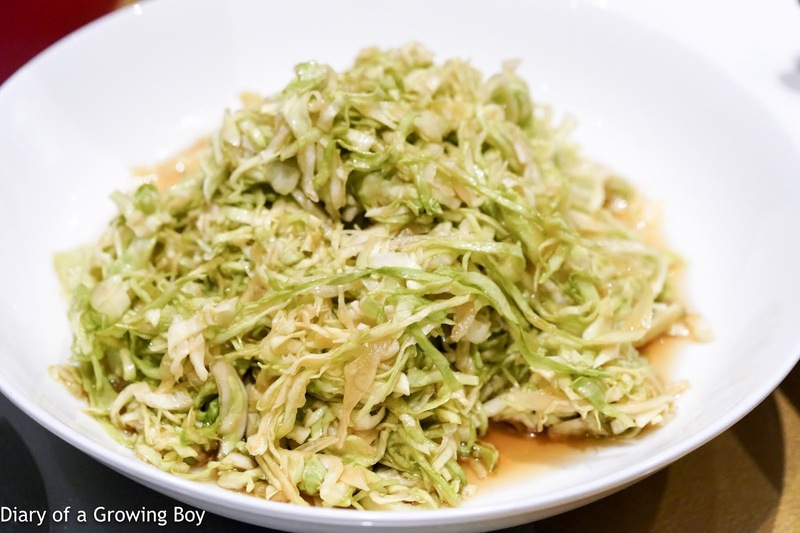 The cucumber came with diced pickled bamboo shoots, minced pork, and preserved leafy mustard (梅乾菜). It was spicy but not too much for someone like me. 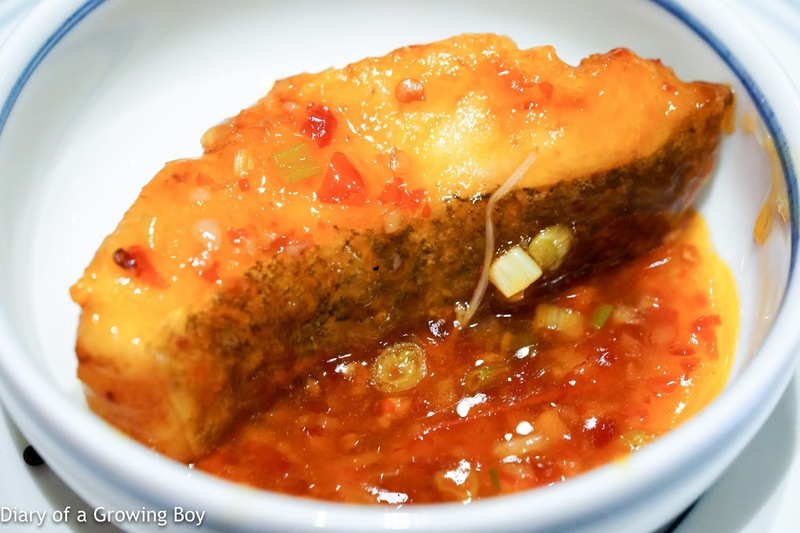 Stir-fried chicken tofu (雪花雞淖) - this was similar to something I had last week with the pop-up by The Bridge (廊桥). 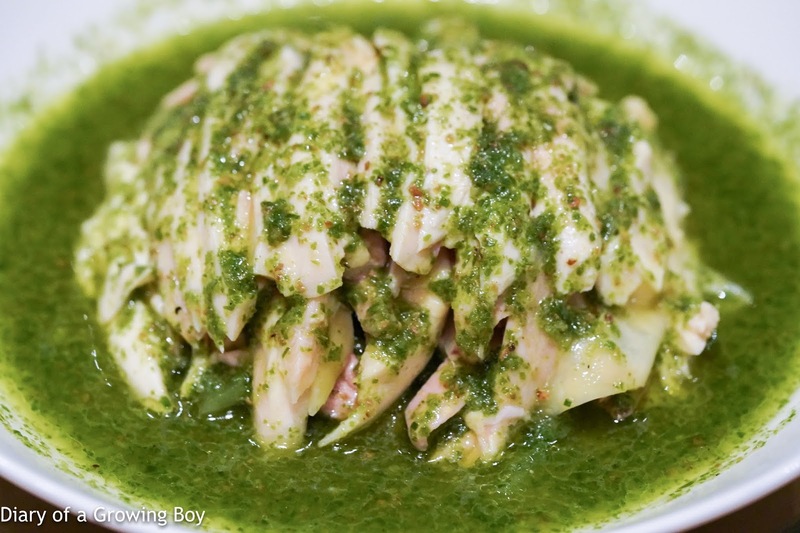 It looks like Shanghainese mock crab (賽螃蟹), but is actually made with real chicken mixed with consommé and egg whites. The texture was fluffy, but I could still feel a little bit of the muscle fibers. It definitely tasted like chicken, and I found it slightly on the oily side. 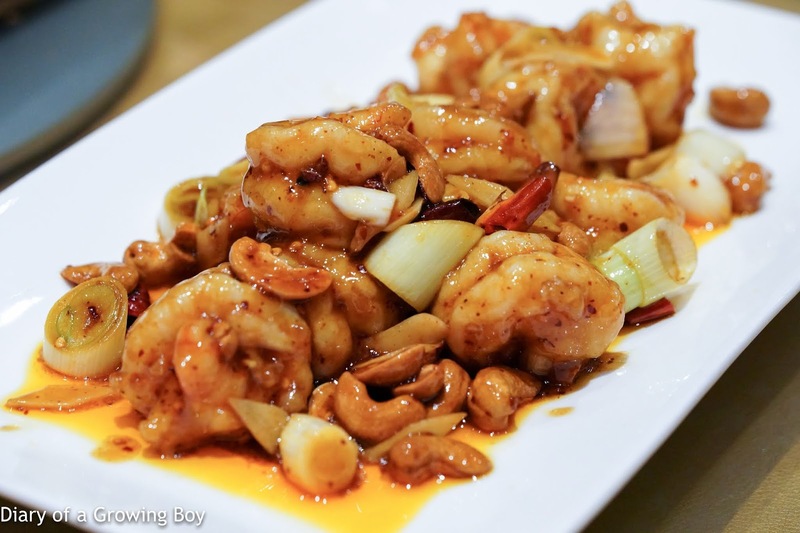 Kung pao prawns (宮保蝦球) - I thought the prawns perhaps weren't very fresh... but this kind of sauce did a good job of covering it up. Braised beef rib with pepper powder (香烤牛肋骨) - very soft and tasty. 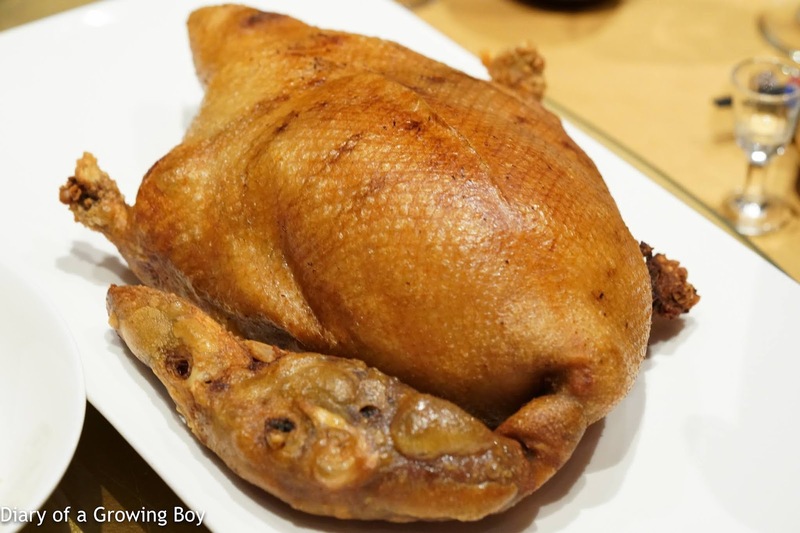 Crispy duck stuffed with glutinous rice (椒鹽八寶鴨) - very well stuffed and looking pretty plump. 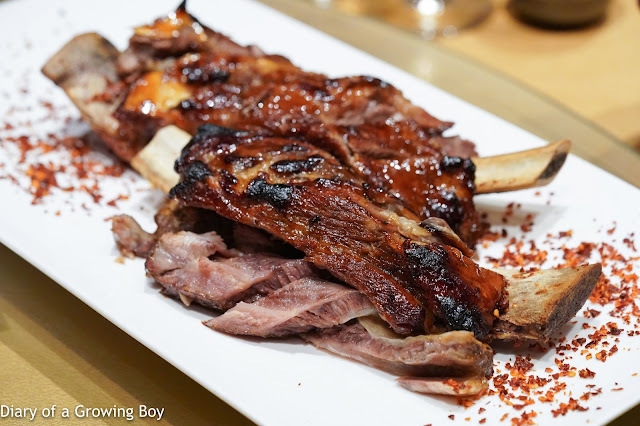 While the crispy skin was nice, inside there wasn't a whole lot of meat - especially in the middle. 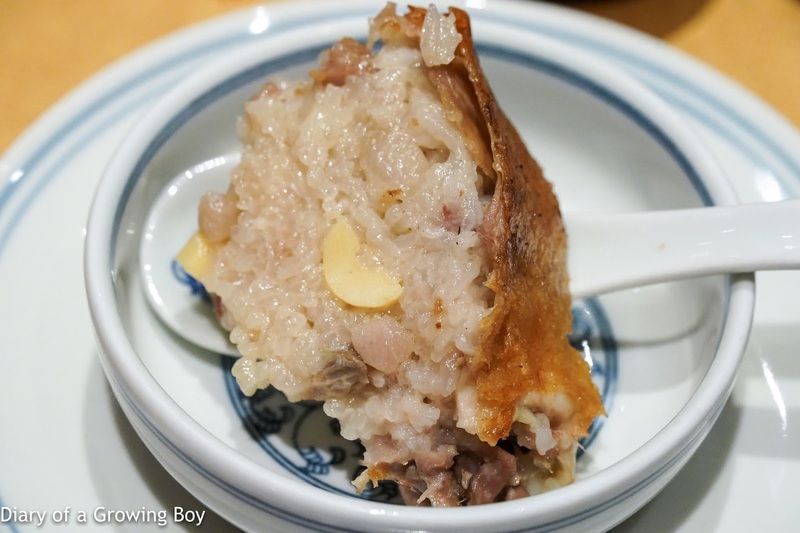 Besides glutinous rice, there were lotus seeds, diced pork, diced ham, Job's tears, and dried shrimp. One giant lump of fatty carbs. 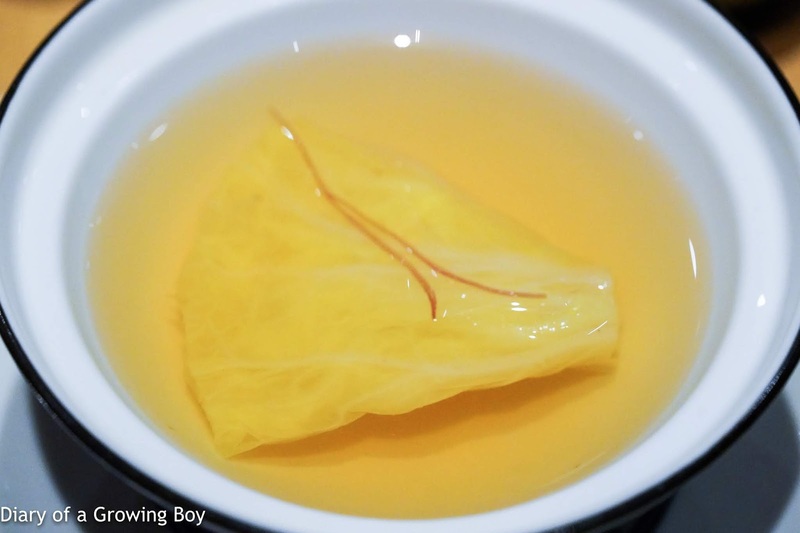 The duck was served with cabbage marinated with vinegar, sesame oil, and sugar. Helped cut down the greasiness. But the sauce turned out pretty nice, more of a sweet and sour kind, with some garlic and a bit of pickled chili peppers (泡椒). 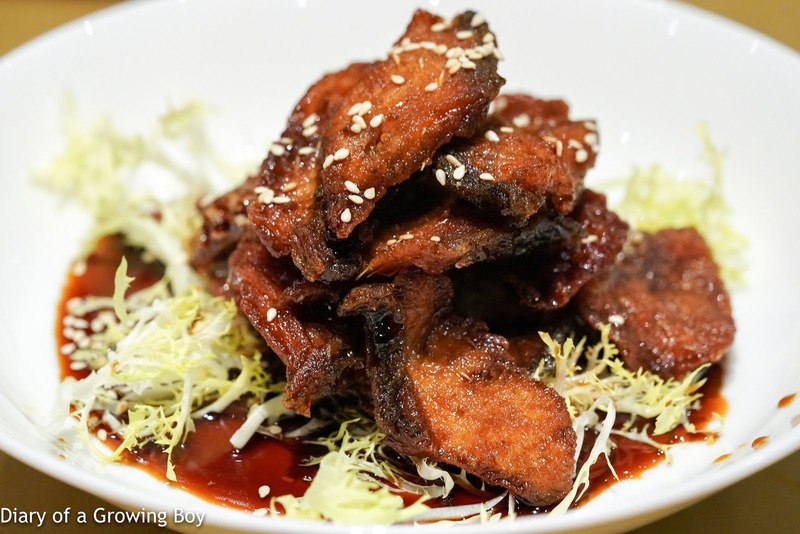 The chunks of fish came coated in a little batter before being fried. Vegetables with conpoy (瑤柱時蔬) - this was very nice... almost comfort food. 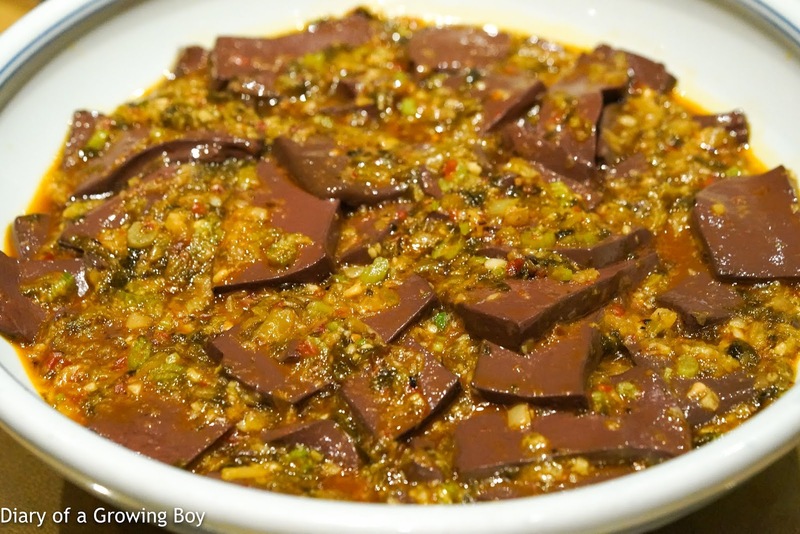 Pickled vegetables and duck blood (泡菜鴨血) - this was a nice surprise... and came with preserved leafy mustard (梅乾菜), garlic, and chili. 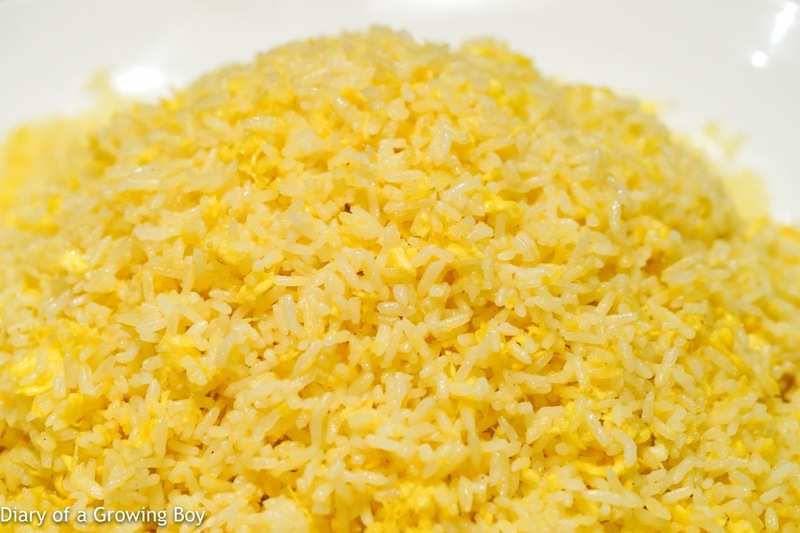 Golden fried rice (桂花炒飯) - the golden fried rice came with the duck blood, and worked pretty well. 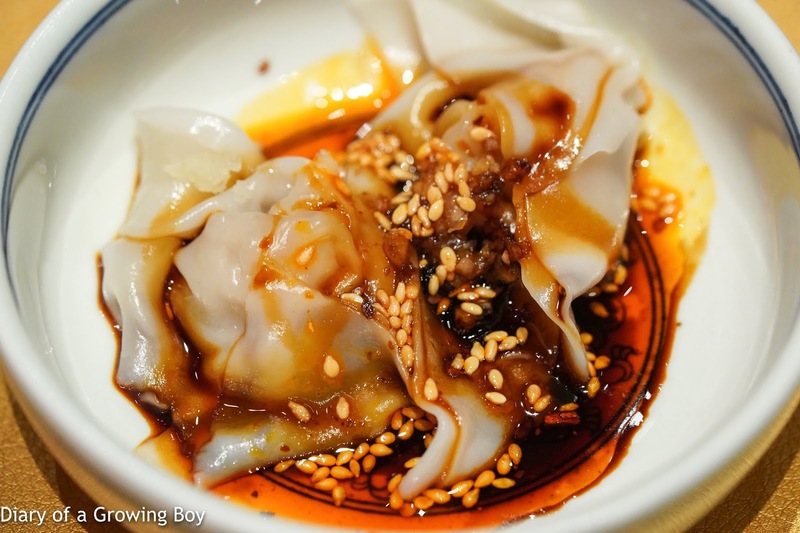 Pork dumplings with red chili oil (紅油抄手) - these were very, very good. 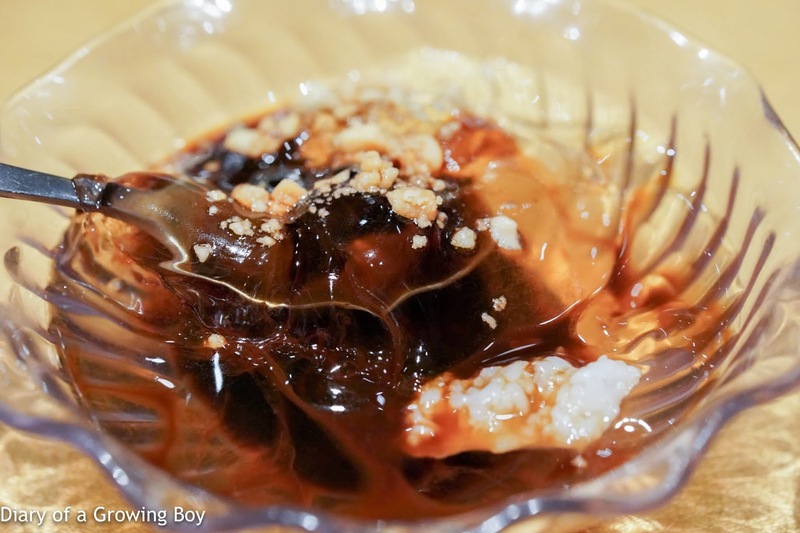 Rather than swimming in a puddle of chili oil, these reminded me of what I used to order at Victoria's Seafood (海都海鮮酒家) 2 decades ago, where the sauce was made with soy sauce, chili, and came with a hint of sweetness. 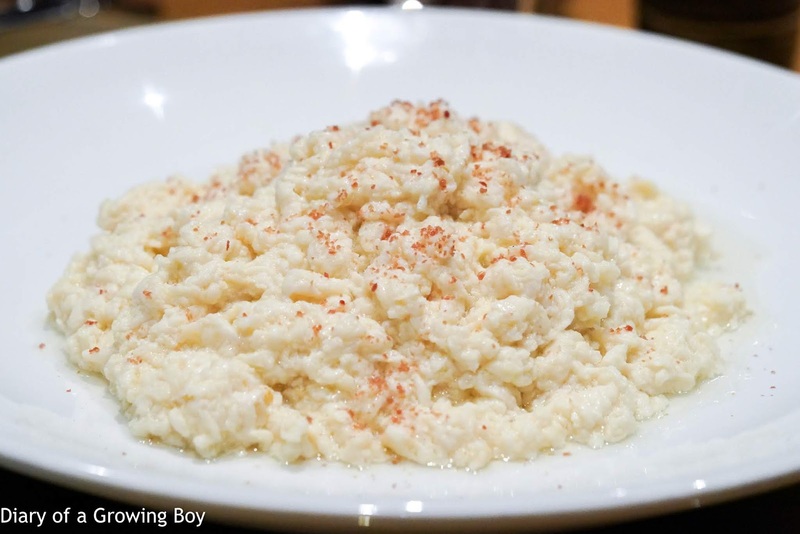 Fermented glutinous rice in ice powder (醪糟冰粉) - the jelly came with some fermented rice (酒釀), peanuts, and muscovado. Delamotte Blanc de Blancs - served too warm and was a little bitter. 2012 Marcel Deiss Alsace - floral with lychee notes. Oxidized but dry on the palate.